Meet Dane Marsters! 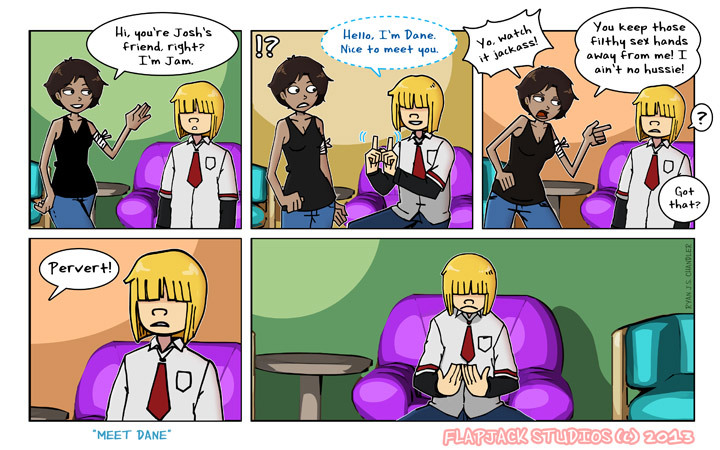 This is Dane's first appearance! He's a kind, sweet and caring fella so we thought we'd give him an introduction he so rightfully deserves! He also happens to be a mute, so sign language is his main form of communication. Enjoy! Creator's note - Don't forget to like our Facebook page and follow us on Twitter!